Design and execution of bi-annual ad campaign layouts and guidelines for digital and print use. Large format digital and print advertising for domestic and international markets, including billboards, barricades, outdoor digital screens, banners and posters. Large-format biannual publications showcasing seasonal collections. 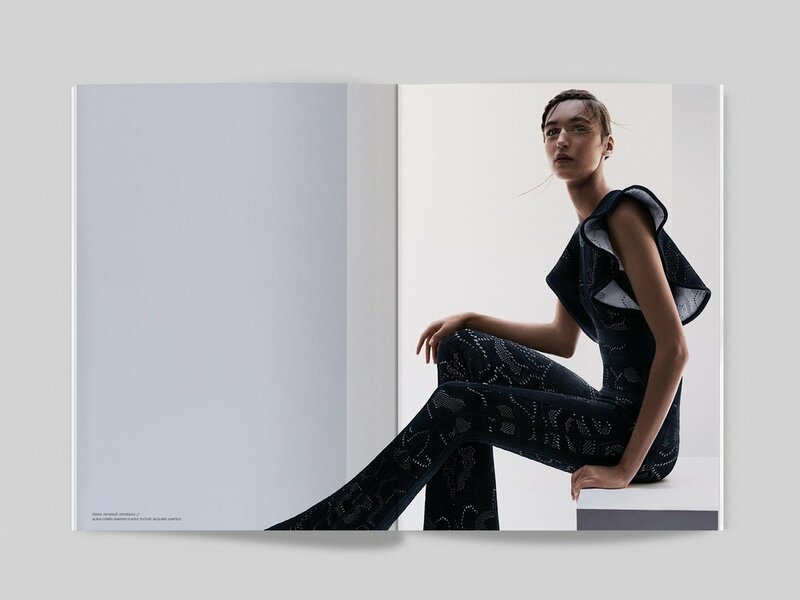 Quarterly, foldout publications showcasing new Resort, Spring, Pre-Fall and Fall collections. Direct mail brochures, postcards, in store signage, cash wraps and ads promoting collections and sales events. Branding and logo studies for Hervé Léger 30th anniversary. 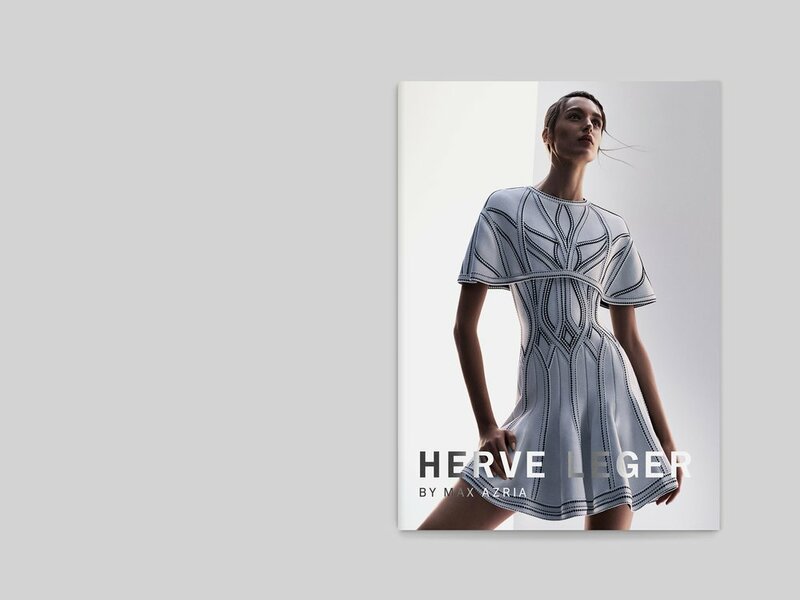 Designs were inspired by Francis Giacobetti’s campaign photographs for Hervé Léger and the artwork of Frank Stella.